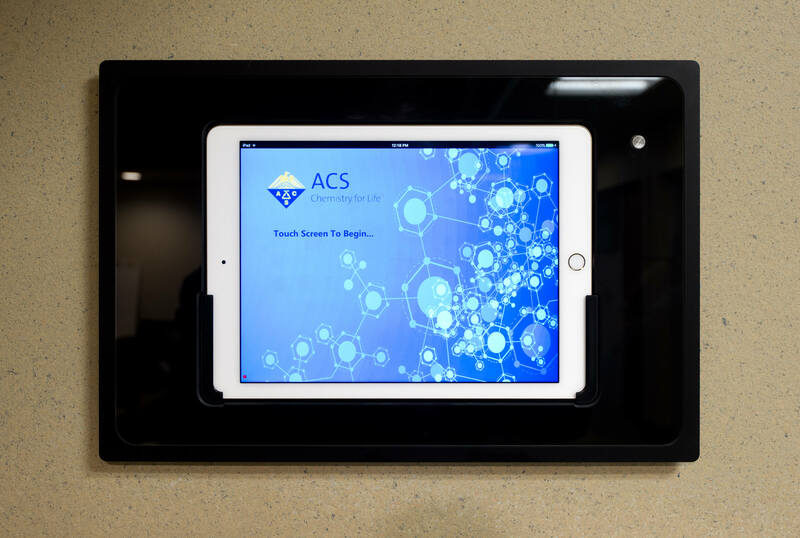 The American Chemical Society (ACS) serves more than 157,000 members globally, providing educational and career development programs, products, and services. As the world’s largest scientific society, ACS is a leading and authoritative source of scientific information. 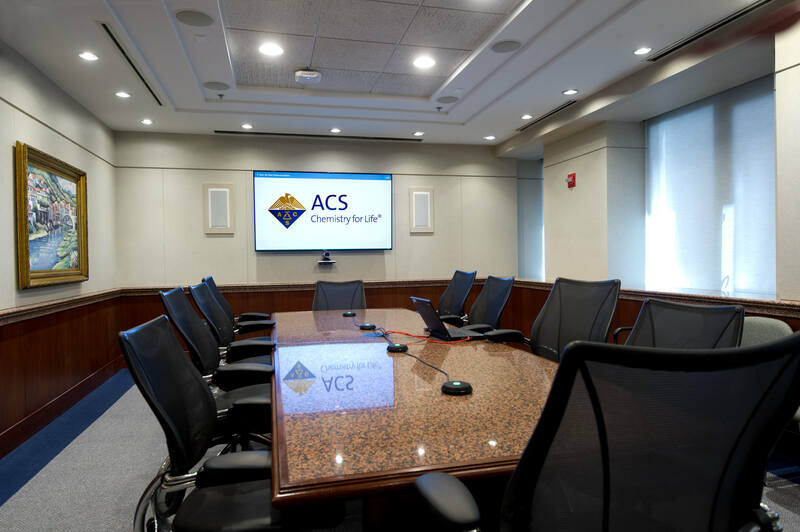 A nonprofit organization chartered by Congress, ACS is at the forefront of the evolving chemistry enterprise and is the premier professional home for chemists, chemical engineers, and related professions around the globe. 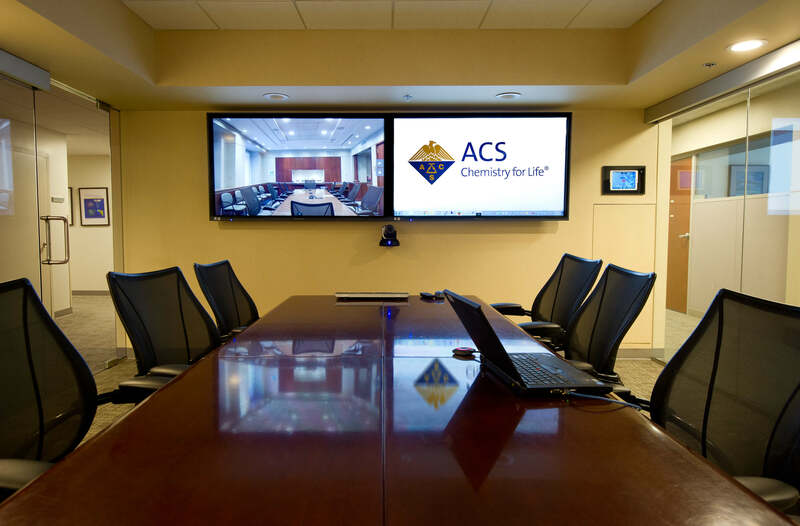 For the American Chemical Society, Trinity Video engineered and integrated a new Audio/Video conferencing system in the Hach Building, located in Washington, DC. The space received a new video display system that includes Panasonic 65″ full interactive HD LED displays, a Crestron “All-In-One” presentation switcher capable of managing High Definition, as well as older, Standard Definition video signals. A Barco ClickShare Wireless Presentation System was also installed, so up to four computers can display content simultaneously in a true collaborative setting. The new Pro Audio system consists of a Biamp TesiraForte AVB TI Audio Digital Signal Processor (DSP) with Acoustic Echo Cancellation (AEC), and a built-in POTS type Telephone Interface. 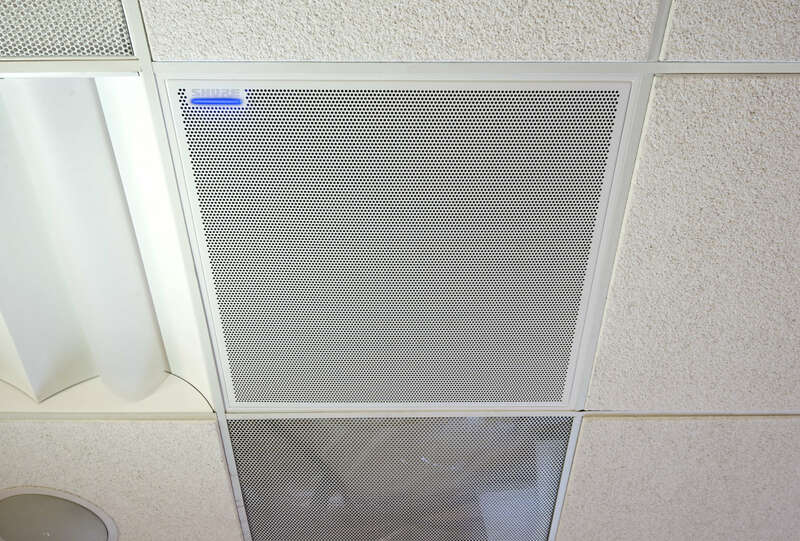 A new Shure Ceiling Array Microphone system was also installed, providing (8) separate steerable lobes to capture sound sources throughout the room, along with JBL 70v Power Amplifier and JBL ceiling speakers. 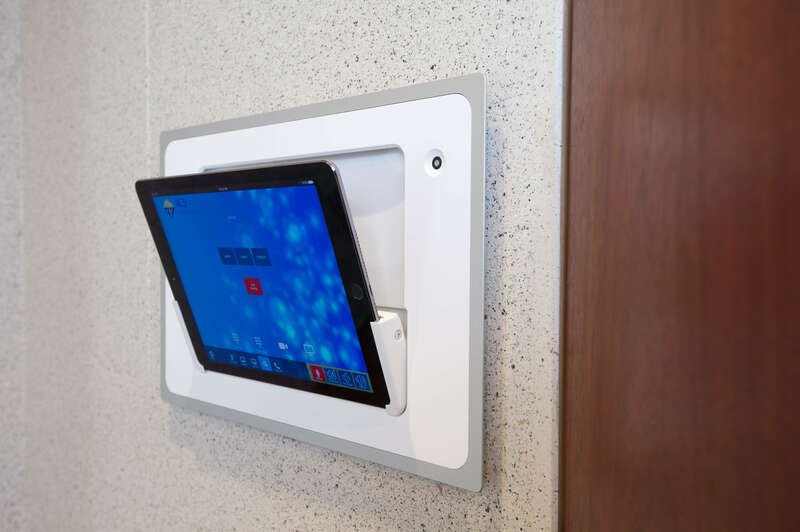 An Apple iPAD AIR 2 was chosen as the control device to control the entire system. 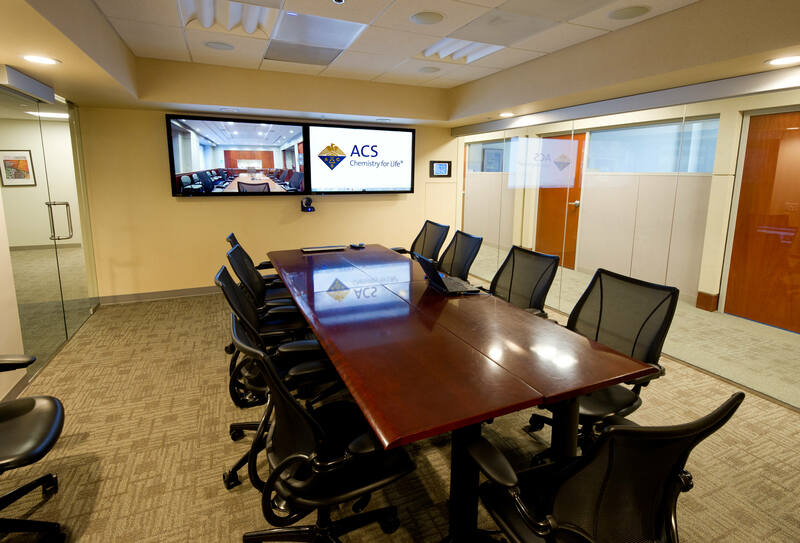 A Cisco SX80 Codec and a Vaddio RoboSHOT 12 QUSB HD PTZ Camera were configured and installed to provide video teleconferencing capability. 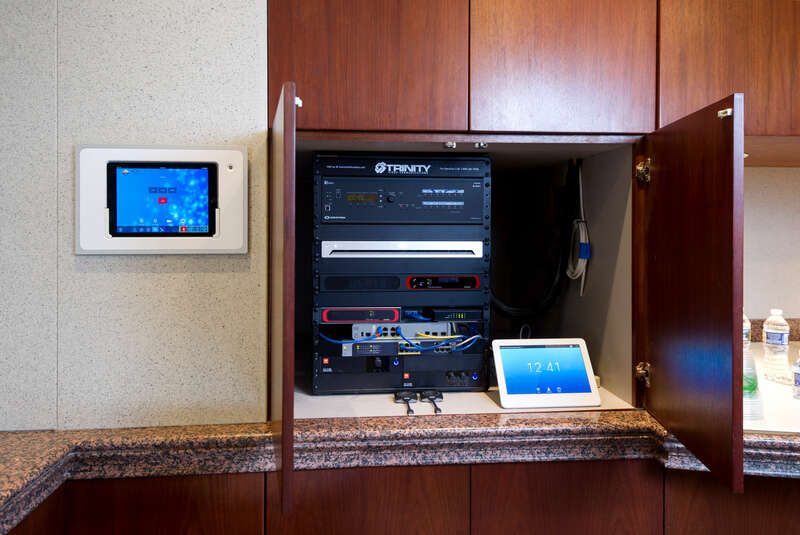 Trinity Video also installed an ACS dedicated PC in the rack that connects the USB output of the Vaddio Camera to the computer, enabling the use of desktop video conferencing software such as GoToMeeting.